Welcome to Hogwarts West–August 12-16, 2019! Army to fight Horcruxes—which are framed as social justice issues—illiteracy, hunger, poverty, child slavery, animal cruelty, environmental harm, etc. Last year our Hall became Hogwarts, we held a sorting ceremony, classes in potions, herbology, and charms, ground Quidditch, and allowed imaginations to evolve a truly magical week. We explored the Horcrux of Waste and how to move towards zero waste living which has been a theme we have carried through this year in our Unitarian Children’s Program and Youth group project. 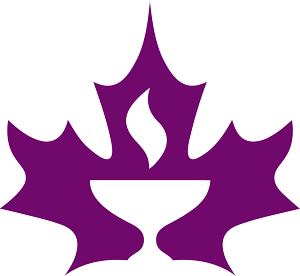 This year our social justice focus will centre around water to integrate with the national Canadian Unitarian Ripple Effect project. We will identify two local water issues for the children to choose from and learn about Augusto Boal’s Theatre of the Oppressed techniques to use theatre as social action within the framework of the Harry Potter story world. It becomes a week of living theatre, social justice, and a unique summer camp experience for Vancouver children and youth. Families and friends can expect a final performance and picnic at the end of the week. This experiential camp is for anyone who loves the adventures of Harry Potter and wishes to explore theatre as social action! Children can expect to make their own wand, create their patronus, taste butterbeer and other magical snacks, participate in lessons of Magic and Sorcery, discover their house and much, much, more! Register for DA Explorers to take Hogwarts classes exploring the magic of water, learn theatre games, and play within the Hogwarts theme. Quidditch and Dueling Club are arranged between classes. Final day sharing directed by DA Leadership. Register for DA Creators to take advanced classes in water magic, script writing, and interactive theatre. Create and perform in Friday’s interactive performance for family and friends. We may use what you write to create and film a public service announcement highlighting what you have learned. Love the Wizarding world and want to build volunteer hours and leadership experience? Apply to be a prefect and help our Professors oversee the DA sections, coordinate club and Quidditch games, and maintain order and safety in the grounds. You may create your own character and help Direct the DA Creators production. Youth who apply should have or plan to get Red Cross First Aid training before camp begins. To apply send an email to Kiersten Moore with a description of your leadership experience, goals and purpose for wanting this position. “Harry and UU” is a Unitarian Universalist social action curriculum written for grades 4-5 based on J.K. Rowling’s Harry Potter books. Copyright 2014, Karen Hager, Blacksburg, VA. Our Vancouver Unitarian Professors are combining the structure and tools of this curriculum with theatre and improv to create a unique and engaging summer camp experience. Harry and UU is not authorized, approved, endorsed, nor licensed by J.K. Rowling, Warner Bros. Entertainment, Inc, the Scholastic Corporation, Raincoast Books, Bloomsbury Publishing Plc., nor by any other persons, entities, corporations or companies claiming a proprietary interest in the Harry Potter books, movies, or related merchandise. Full-week extended care for multiple children: Deduct $15 from the 2nd and subsequent children’s extended care fees. 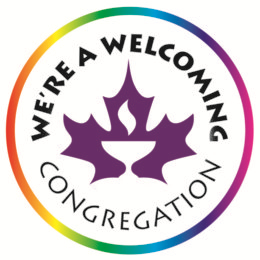 The Unitarian Church of Vancouver intends to be inclusive and accessible to everyone. If the lowest end of the camp fee still presents a barrier to your participation or if you need an adjustment for more than one child we provide camperships which may include before and after care, public transportation, and lunch. Applications will be processed on an ongoing, first-come, first-served basis as long as funds are available. A deposit in good faith of an amount you can afford is requested to hold your spot. The deposit will be refunded if available campership funds do not meet your needs and you decide to release the spot. Once you accept the campership, the deposit is nonrefundable. All requests for refunds must be submitted to the Program Director, by e-mail (families@vancouverunitarians.ca). Requests for refunds receive a full refund less a 15% administrative fee per registrant. If less than one week’s notice is given 50% of the fee will be refunded. If notice is given on or after the start date of the program, no refund will be given. We make sure every living being is cared for, respected, and safe. We respect the work of others. We take care of what we use. The Camp Director (Headmistress) reserves the right to remove a camper from activities out of concern for safety and respect. If a camper cannot return to right relations with the group, a parent/guardian will be asked to remove them from camp.